Here’s an outfit that I wore on the finals night of Globe Tatt Awards 2013. The invite says to wear our best cocktail outfit. Of course the first thing that came to my mind was: sequins! 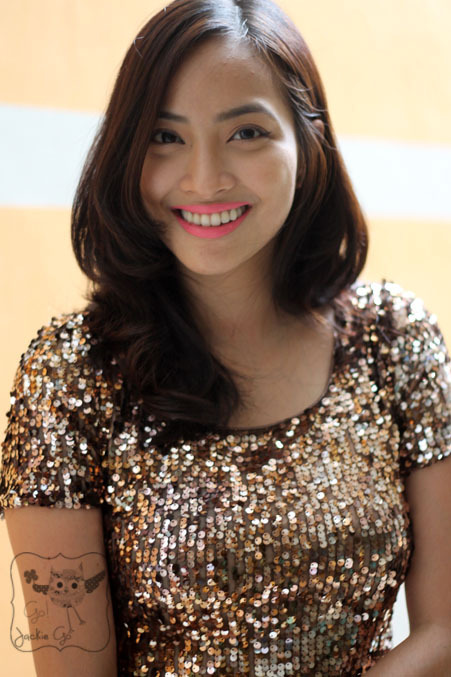 Ilabas ang sequins! I got this dress during my Nivea Express Raid Challenge. And it was on sale for… wait for it… 300 pesos! That’s around $8. What a steal. A dress like this deserves a whole lot of focus and attention to itself. Kaya very, very light lang ang make up. Dinaanan ko na lang as usual sa lipchook! Talagang I shine bright like a diamond in this little number. Achieve!